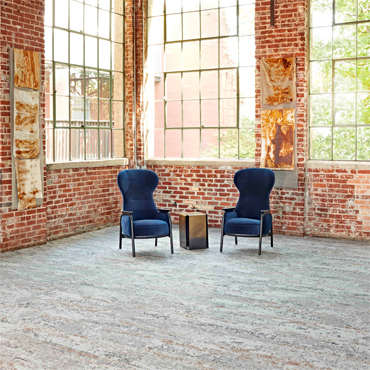 Cartersville, Ga. – Patcraft, a leader in high-performance commercial flooring, has launched its newest carpet tile collection, Artefact. This versatile collection, featuring four distinct products, was inspired by an oxidation experiment exposing fabrics to metal, rust and water. 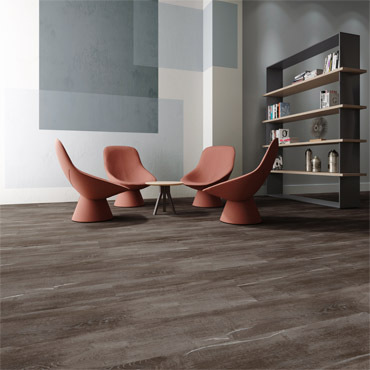 Through a six-week process, vibrant colors and designs emerged to create a flooring collection aimed at bringing off-kilter nature into the built environment. Artefact is a reflection of beauty found in natural and organic transformation, with an emphasis on the discovery of artistry in the imperfect. The Patcraft design team chose an array of cotton, linen, silk and wool fabrics to expose outdoors to metal discarded objects – including building materials, chains and metal sheeting. Using a resist-dyeing technique, the team created a variety of patterns and organic colors which varied in depth, tint and saturation across the base materials. 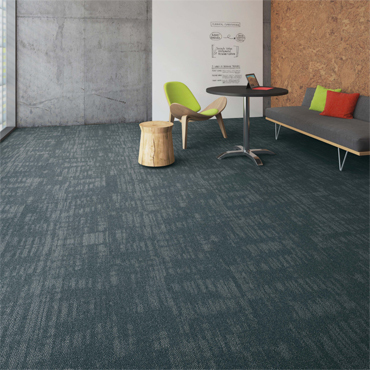 Artefact is available in four 12" x 48" carpet tiles with a multi-level pattern loop. 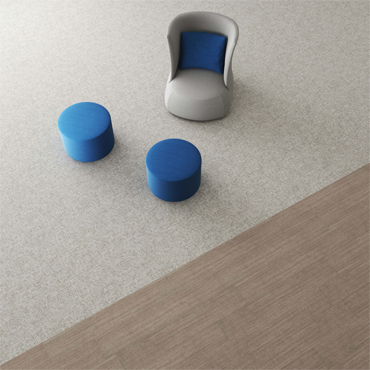 The collection offers a stunning selection of four carpet tile products, Patina, Etched, Relic and React. Patina features subtle patterns alluding to primitive surfaces marked by water and time and celebrates the natural course of age and weathering. 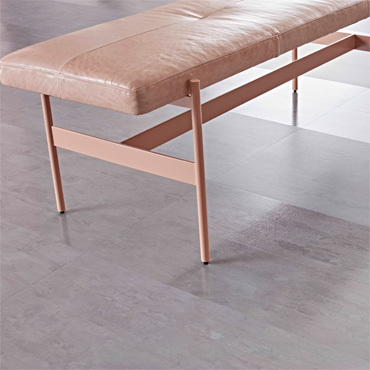 Etched includes a monochromatic palette reflecting the beauty of materials that have been softened and worn over time. The rugged texture resembles the hand-dyeing process of folded fabrics and textiles. Relic’s large scale pattern resembles corrugated metal and features a thoughtful mix of textures with scaled and gradated placements. And lastly, React accentuates the beauty of imperfection to create subtle layers of texture evoking a sense of depth and timeworn quality. The Artefact collection is inspired by the exploration of the natural influences of nature. 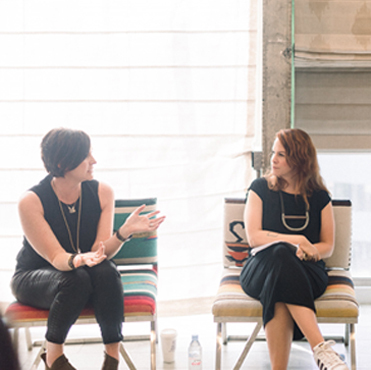 With forward-looking design trends uncovering the allure of imperfection and the beauty of authenticity, Artefact’s materiality brings in the history and future of nature, connecting inspiration, intuition and method to earthly resources. 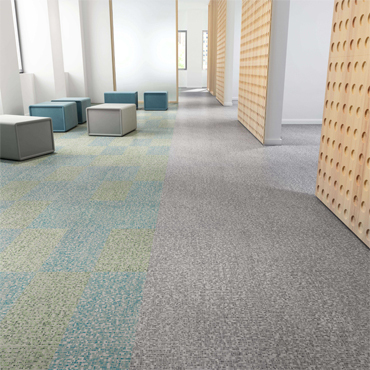 Constructed with Eco Solution Q Nylon® and EcoWorx® backing, Artefact is Cradle to Cradle Certified™ Silver. Products are backed with lifetime warranties against stain, colorfastness to light, static and abrasive wear for maximum performance and appearance retention.